Achille and Joseph Archambault are two more names to add to the category of Napoleon’s faithful servants. They joined the imperial household around 1805 and stuck with Napoleon when he went into exile on Elba and on St. Helena. Achille was known for his fast and furious driving. 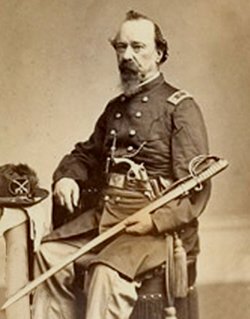 Joseph wound up in the United States, where he ran a hotel in Pennsylvania and became a cavalry major during the American Civil War. Achille Thomas Archambault was born in Fontainebleau, France, on October 13, 1792. His younger brother, Joseph Archambault, was born Olivier Agricola Archambault on August 22, 1796. Their mother was Magdelaine Archambault. Their father was Thomas Nicolas Senez, who lived at the same address as Magdelaine but was not married to her. In June 1799, when Magdelaine died, the boys were sent to the hospice of Mont Pierreux to live with their grandmother. One day in the fall of 1807, Napoleon and his wife Josephine drove by the hospice in an open carriage. 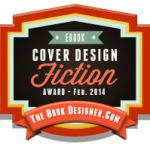 Josephine noticed an elderly priest saluting the couple through his window. Napoleon stopped and spoke to the priest, who recounted his sad circumstances resulting from the French Revolution and Terror. Moved, Napoleon offered to double the old man’s pension. He added, “If that should not suffice, I hope you will address yourself to the Empress or to me.” (1) Albert Benhamou, on L’Autre Sainte-Hélène, speculates that it may have been as result of this encounter that the Archambault boys found work in the imperial stables. Other sources state that Achille joined the imperial service in 1805. Both brothers served Napoleon during his Imperial campaigns, and both went with him into exile on Elba in 1814. There, Achille was named head footman. The Archambaults accompanied Napoleon on his escape from Elba in 1815. They were with him during the Hundred Days and the Battle of Waterloo. The morning of the battle, Achille was one of those left in charge of the Emperor’s carriage. As recounted by the valet Saint-Denis, Achille was unable to save the carriage, but managed to rescue some belongings. This notwithstanding, Achille became known for his skill with horses, particularly for driving them fast, the way Napoleon liked. 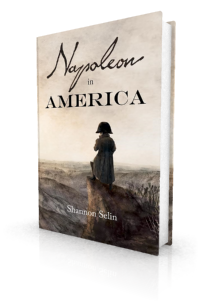 Betsy recollects a ride in Napoleon’s carriage. Though they made it without mishap on that occasion, on another they were not so fortunate. There was not much for the Archambaults to do on St. Helena. Napoleon’s stable was small and Napoleon refused to ride beyond the very small area in which he was allowed to travel without an English officer. Achille fell in love with a mulatto named Mary Ann Foss, but Napoleon refused to let them marry. Achille developed a reputation for drinking and rowdiness. This was not helped by the following incident in 1818, as recounted by a British staff surgeon serving on St. Helena. The choice of the people who were to leave Saint Helena could only fall on those whose services were the least necessary to the Emperor…. After landing in Europe, Joseph sailed to New York with Theodore Rousseau, another of the dismissed servants. They arrived in May 1817 and sought out Napoleon’s brother, Joseph Bonaparte, who was living in Bordentown, New Jersey. It is claimed that sewn inside Rousseau’s jacket were letters, a detailed map of St. Helena and a plan to rescue Napoleon from exile. In any case, Joseph Bonaparte was happy to have a direct account of his brother, and offered employment to both men. Joseph Archambault is serving as a groom to Joseph Bonaparte when he makes his brief appearance in Napoleon in America. On the ship to America, Joseph Archambault met the English radical William Cobbett. Joseph spent a year on Cobbett’s Long Island model farm, teaching French to Cobbett’s son and receiving instruction in scientific agriculture. In 1819 Joseph Archambault married Susan Sprague. Around 1821, the couple settled in Newtown, Pennsylvania, north of Philadelphia. Joseph established a hardware store, practiced dentistry and possibly veterinary surgery (he apparently studied these at some point), and joined the Bucks County militia. In 1829, Joseph bought the Brick Hotel in Newtown, which he operated for many years. He and Susan had five children: Victor Ebenezer (1819-1893), Achille Lucien (1822-1906), Lafayette (1824-1888), Napoleon Bonaparte (1826-1901), and Roselma Josephine (1832-1914). In May 1856 Joseph sailed to France to visit Achille. The latter had remained on St. Helena until Napoleon’s death in May 1821. Achille was present at Napoleon’s autopsy. He led Napoleon’s horse, behind Napoleon’s coffin, in the funeral procession. Once back in France, Achille settled at Sannois in the Val-d’Oise. In 1822 he married Julienne Clarisse Boursier. They had two daughters: Euphraise Clarisse (b. 1824) and Josephine Esther (1830). After the Revolution of 1830, which unseated Bourbon King Charles X, Achille got a job as an usher at the Tuileries. In 1840, Achille went on the expedition to retrieve Napoleon’s remains from St. Helena and bring them back to France. Thanks to Napoleon’s nephew, Louis-Napoléon (Napoleon III), becoming ruler of France, Achille finally received the funds he had been bequeathed in Napoleon’s will, as well as the medal of the Legion of Honor. He died in 1858 in Sannois, where he is buried. Despite being over 65 years old, Joseph Archambault enlisted in the Second Pennsylvania Cavalry during the American Civil War. He was promoted to the rank of major in 1862. He retired to a farm near Doylestown, Pennsylvania, and then to Philadelphia, where he died on July 3, 1874, age 77. His grave is in the Laurel Hill Cemetery in Philadelphia. Joseph Archambault was the last survivor of the group that accompanied Napoleon into exile on St. Helena. His sword and portrait are in the Mercer Museum in Doylestown. One of Joseph’s granddaughters, Anna Margaretta Archambault (1857 -1956) became a noted American miniature portrait artist. For more about the Archambault brothers, see John Tyrrell’s excellent two-part post on the Reflections on A Journey to St. Helena blog. Memoirs of Constant, First Valet de Chambre of the Emperor, on the Private Life of Napoleon, His Family and His Court, translated by Elizabeth Gilbert Martin, Vol. II (New York, 1907), p. 215. Louis Étienne Saint-Denis, Napoleon from the Tuileries to St. Helena, translated by Frank Hunter Potter (New York and London,, 1922), pp. 132-133. Lucia Elizabeth Balcombe Abell, Recollections of the Emperor Napoleon, during the First Three Years of His Captivity on the Island of St. Helena (London, 1844), p. 64. Walter Henry, Trifles from my Port-Folio, Vol. 1 (Quebec, 1839), p. 224. Louis-Joseph Marchand (Proctor Jones, ed. ), In Napoleon’s Shadow (San Francisco, 1998), pp. 456, 458. Very fascinating piece, and Achille and I share a birthday! Thanks, Willow. I’m glad you enjoyed it. What a lovely coincidence! I collect Joseph Bonaparte letters, etc. Joseph Archambault was my 3XGreat Grandfather. It’s great to hear from a descendant, Bill. Thanks, Agnes. Glad you’re enjoying it. Madame Bertrand [was] screaming with all her power for Achambaud [sic] to stop; but it was not until a check was put to the velocity of the carriage, by its coming in contact with a large gum-wood tree, that we had any chance of being heard.